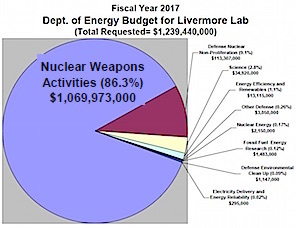 For Livermore Lab, Nuclear Weapons Activities still dominate the budget, increasing to over 86%. 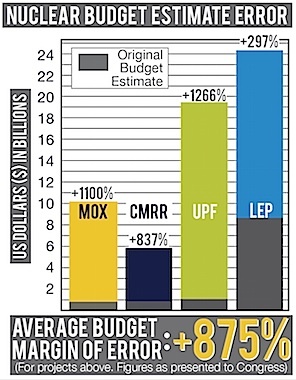 Note that the percentage of the LANL budget request for core nuclear weapons activities has risen to 70%. 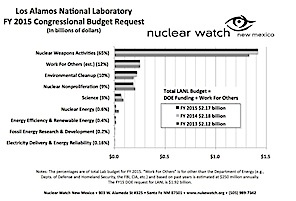 View/download Nuclear Watch New Mexico's compilation of the National Nuclear Security Administration's FY 2014 budget request (PDF)- which in real terms includes a 16.7% increase for nuclear weapons programs over FY 2013 sequester levels, while funding for non-proliferation efforts is cut. 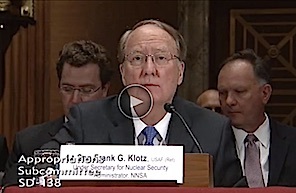 Chairwoman Dianne Feinstein, at an April 24, 2013 Senate hearing, said "The nonproliferation program has become the payer for the nuclear weapons program." 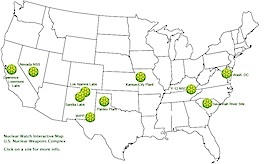 Los Alamos Lab / Lawrence Livermore Labs / Sandia Labs. 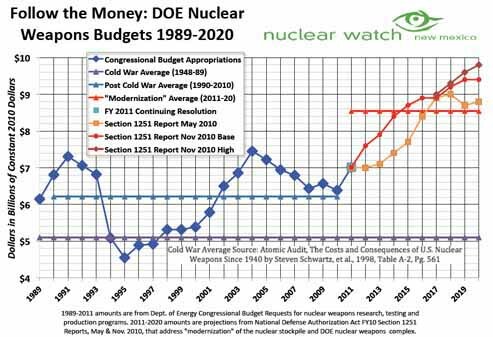 A chart of Energy Department Weapons Activities Budgets compared to the average spent during the Cold War. 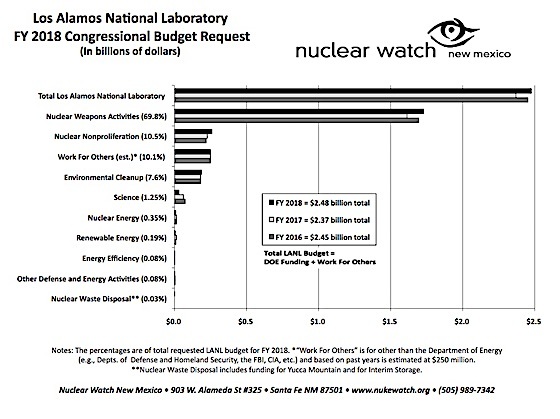 Is this the direction we want spending to go for Nuclear Weapons? Can it possibly cost $29 billion to clean up 51 acres? (That's $568.6 million per acre!) 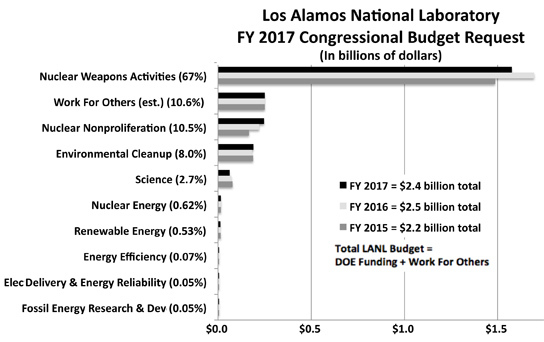 The answer is yes if the estimate comes from Los Alamos National Laboratory. 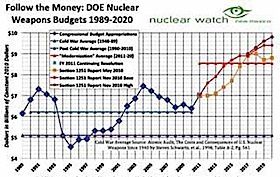 "We have gone on piling weapon upon weapon, missile upon missile helplessly, almost involuntarily, like the victims of some sort of hypnosis, like men in a dream, like lemmings headed for the sea..."
- George Kennan, in 1981 (source) Our Mission: Through comprehensive research, public education and effective citizen action, Nuclear Watch New Mexico seeks to promote safety and environmental protection at regional nuclear facilities, mission diversification away from nuclear weapons programs, greater accountability and cleanup in the nation-wide nuclear weapons complex, and consistent U.S. leadership toward a world free of nuclear weapons.